∫ Kyle Hale — Forest to Home July exhibit welcome reception with refreshments: The Caroga Historical Museum, Caroga Lake, 7 to 9 p.m. The exhibit will run through July 29. The museum is open from 1 to 4 p.m. Thursday through Sunday. Free admission — donations accepted. ∫ Sacandaga Valley Arts Network Artists’ Gallery Exhibit: Fulton County Visitor Center, Routes 29 and 30, Vail Mills. Free and open to the public. Gallery is open weekends. ∫ Kathy Klompas — guest artist: Micropolis Cooperative Art Gallery, 30 N. Main St., Gloversville. Micropolis member artists work on display will include paintings, drawings, photographs, fiber art, batik, mixed media, woodwork, glass, digital art, sculpture, jewelry and pottery. The gallery, inside Mohawk Harvest, is open from 8 a.m. to 7 p.m. Monday through Friday; from 8 a.m. to 6 p.m. Saturday; and from 9 a.m. to 4 p.m. Sunday. The show will run through Saturday. For more information, go to www.MicropolisGallery.com. ∫ Art exhibit: Window to the Garden, 9 Woodside Ave., Mayfield. The exhibit will feature four local artists, all original artwork for the home and garden includes pottery, jewelry, paintings and sculpture. By appointment or by chance, (518) 774-7175; www.alexandrahiggins.com. Open until November. ∫ Erie Canal Evening 10 a.m. to 7 p.m. at the Arkell Museum in Canajoharie. The Corning Museum of Glass Glassbarge and the Lake Champlain Maritime Museum’s Canal Schooner “Lois McClure” will be along the Mohawk. The barge will offer glass blowing demonstrations at Riverside Park between 6 to 8:30 pm, and the “Lois McClure” will also be open for tours. Both vessels plan to dock around noon. For this event, the Arkell Museum will offer a reduced adult admission of $5 all day and will stay open until 6:00 pm. ∫ Wings-n-Wheels Celebration will be held from 10 a.m. to 10 p.m. at the Fulton County Airport on Route 67 in Johnstown. This free event is being held in honor of the Fulton County Antique Auto Club’s 60th Anniversary. There will be an antique/classic car show, a military themed parade and car parade. Parade spectators should arrive between 8:30 and 10 a.m. A block party with music, food, craft vendor. This is an alcohol-free event. 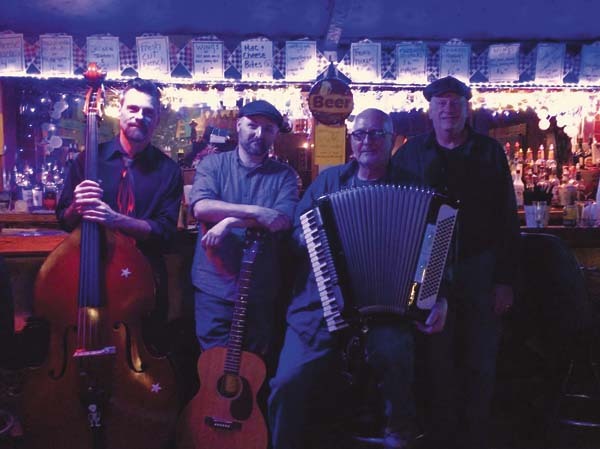 ∫ Durey Creek Bluegrass Band: Caroga Farmers Market at Sherman’s Park, 3 p.m. Free. ∫ Carol Jordan — Caricature: Gloversville Farmers Market, Elm Street Pavilion, Gloversville, 9 a.m. Free. ∫ Vinny Michaels: Sport Island Pub and Restaurant, 108 Riverside Blvd., Northville, 2 p.m. No cover. ∫ Dominic Megna and Pete Jurgensen: Lakeside Tavern and Marina, 306 Woods Hollow Road, Gloversville, 4 p.m. No cover. ∫ The Kanatsiohareke Mohawk Community’s Annual Strawberry Festival will be held from 10 a.m. to 6 p.m. at 4934 Route 5. Traditional and modern music, dance, storytelling, silent auction, craft fair, and food. The event supports the Kanatsiohareke community. Admissions is $5 for adults, seniors and children younger than 12: are $3, children younger than 5 are free. ∫ Amsterdam Rec Presents: ParkFest, noon to 9 p.m., at Shuttleworth Park, 32 Crescent Ave. There will be food, games, free kids activities, live music, an Amsterdam Mohawks game, fireworks and more. ∫ 4th on the 3rd Celebration at Wiles Park in Fort Plain from 8 a.m. to 9:30 p.m. There will be a fishing derby, chicken barbecue, live music and arts performances, food, bounce house, sand sculpting, beauty pageants, fireworks and a bonfire. ∫ Post-game fireworks as the Amsterdam Mohawks baseball team take on the Oneonta Outlaws. The game beings at 6:35 p.m. Fireworks will be held after the game at Shuttleworth Park. ∫ Pine Lake Park’s Spectacular Over the Lake annual fireworks event will be held starting at 9:30 p.m. at Pine Lake Park, 129 Pine Lake Road. There is no cost for the event and a parking donation is $5. No tailgating or coolers will be allowed. A live band will be in the Adirondack Paradise during the evening hours. ∫ Lanzi’s on the Lake fireworks will begin at 9 p.m. at 1751 Route 30. 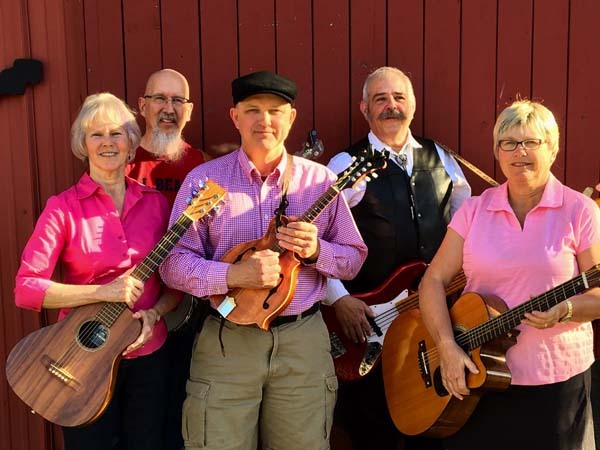 ∫ Ice cream social: Shermans and farmers market with Durey Creek Bluegrass Band, 3 to 6 p.m.
∫ Get stuck on stamps: Fort Plain Free Library, 19 Willett St., Fort Plain, 6:30 to 8 p.m. The library hosts an informal gathering for stamp lovers of all ages and experience levels. Free, drop-in group. Facilitated by stamp collector and American Philatelic Society member Keith Seeber. Open to the public. For information, call (518) 993-4646. ∫ Creative textile fibers group: Fort Plain Free Library, 19 Willett St., Fort Plain, 12:30 to 2:30 p.m. Free, drop-in gathering. Participants share ideas, tips, and bring knitting, crocheting, needlepoint, embroidery, beading, felting, and other individual, fiber-based projects to work on in casual setting. Open to the public. For information, call (518) 993-4646. ∫ Writers at Fort Plain: Fort Plain Free Library, 19 Willett St., Fort Plain, 3 to 5 p.m. The group is made up of writers from varied writing backgrounds, genres, interests, goals and experience levels who work on memoirs, novels, short stories, poems, and more. Facilitated by published writer, Joan Caska. Features constructive feedback in a supportive setting. Free. Open to the public. For information, call (518) 993-4646. ∫ Summer reading kickoff party at the Canajoharie Library, 2 Erie Blvd., 5 to 6 p.m. Signup for the summer, receive a reading log, sweet treat. There will be a dance party. ∫ Independence Day party at Arkell Museum, 2 Erie Blvd., There will be stories and crafts. The event is free. ∫ Wildlife Sports Education Museum, Route 30, Vail Mills, open from 10:30 a.m. to 4:30 p.m. daily June 15 to Sept. 3. Admission: $10 for adults; $5 for youths. ∫ The Sophisticats: Lakeside Tavern and Marina, 306 Woods Hollow Road, Gloversville, 6 p.m. No cover. ∫ Dan Lynaugh: Partner’s Pub, 21 S. William St., Johnstown, 7 p.m. No cover. ∫ Deron Ebersole acoustic solo: Aaron’s Irish Pub, 231 N. Main St., Gloversville, 9 p.m.
∫ Doc Orloff Duo: Timeless Tavern, 162 S. Main St., Northville, 6 p.m. No cover.